It's not all about regattas so much for us this season, it is more about taking a moment to appreciate destinations we visit on our classic yachts, using our boats to enjoy the finer things in life – taking a break from fast competition. 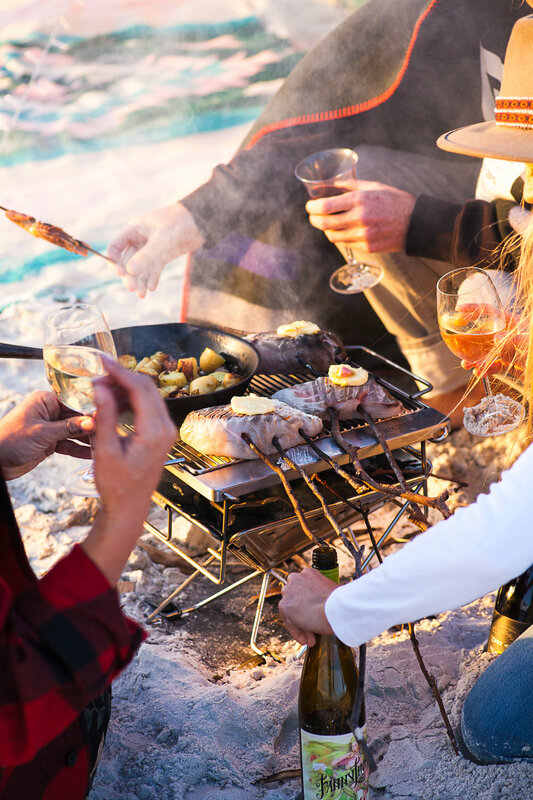 Tasmania's well celebrated outdoor chef Sarah Glover (and she can cater for your private dining event) inspires us to embrace landfall, spot your anchorage and cook with family around a fire with her indulging medley of prawns and white fish recipe. 1: Light your fire and let it burn down until you obtain a medium heat. 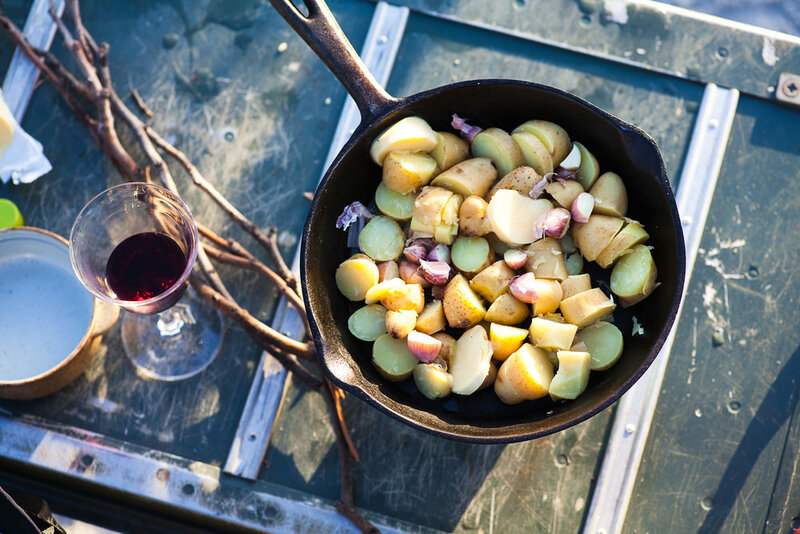 Place the chopped potatoes into a cast iron frying pan with a good few dollops of butter garlic and cook over the fire so they get golden brown and crispy. 2: Once the prawns are cleaned, run a stick though the mouth and out the tail of each pawn. Make sure you leave about 10 cm between the tail and the end of the stick so you can hold onto it while you cook it over the fire. Classic Yacht TV – Need a boatbuilder? Or looking for a charter yacht? a directory listing brands, individuals, companies and merchants for classic boat sailing. Are you cruising somewhere? Find out where to stay, where to eat and which yachts to charter here, in Classic Yacht TV's Destination Guide. 3: When you have secured all the prawn on sticks, place over the fire to cook either on a grill plate or just use your hands and hold it over the fire. It should take about 3 minutes on each side. Serve hot with lemon wedges. 4: Once you have devoured all the prawns get ready to prep your fish! Skewer the fish with a few twigs, this will you to flip it when it’s cooking on the fire. Place the fish onto the grill of the fire and let it cook for around 8 minutes on each side, depending on the thickness of the fish. When turned once, place a teaspoon of butter on the fish and a good sprinkle of salt. Allow to cook for another 8 minutes. 5: When cooked, place the fish in the frying pan, add a few dollops of creme fraiche with some chives and fresh chilli (optional). Enjoy with your favourite wine! A regularly edited, exquisite listing of the world's finest classic yachts for sale. Watch exclusive videos on here. 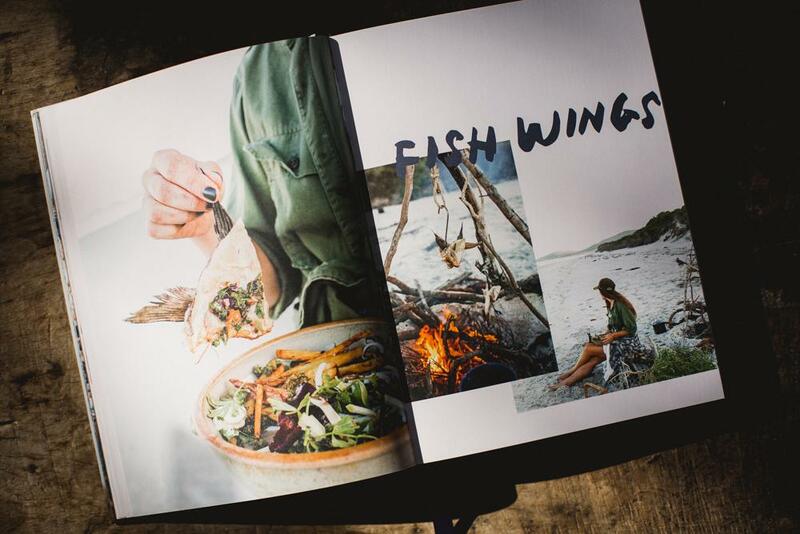 Buy Sarah's cook book 'Wild Adventure' with 340 pages that features 100+ recipes here.